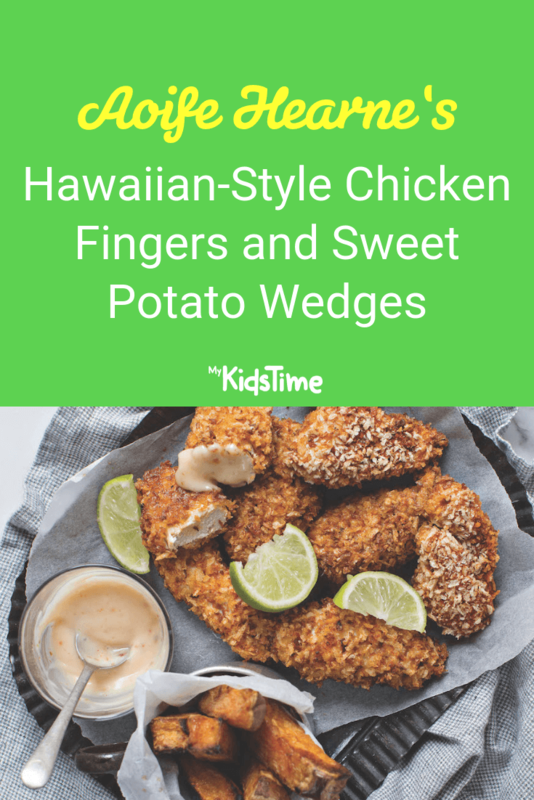 Registered dietitian and mum of three Aoife Hearne shares her recipe for Hawaiian-Style Chicken Fingers and sweet potato wedges – a great family-friendly meal that the kids will really enjoy! Mix the sweet chilli sauce, mayonnaise and lime juice. Spread the coconut on a baking tray and place in the oven, stir occasionally until golden brown. Transfer coconut to a dish, allow to cool slightly. Now add Flahavan’s Super Oats, paprika and 2 tsp oil. Place 1 tsp oil on a baking sheet. Dip chicken pieces into egg, coat with coconut mixture and place on baking tray. Cook for 15-20 minutes until golden brown or cooked though. Peel, chop and boil sweet potato for 10-12 mins. Place on baking dish with 1 tsp oil on dish and 1 tsp of oil sprinkled over chunks, then cook for 20-30 mins. 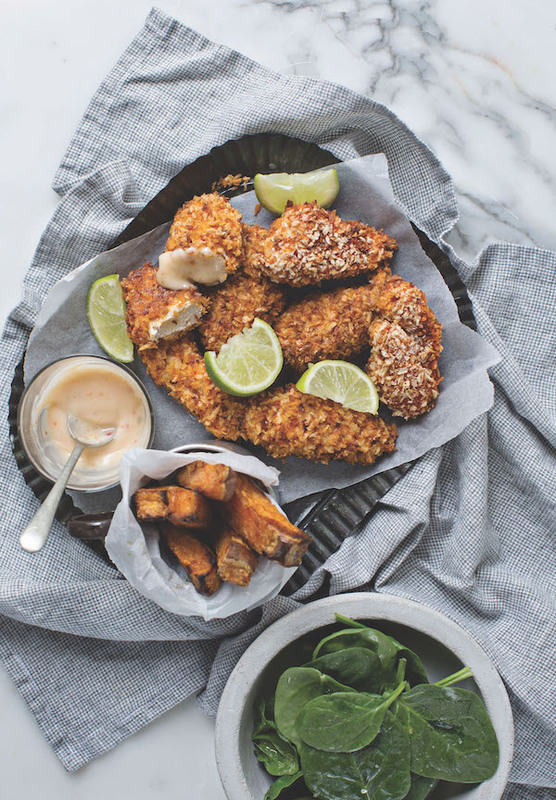 Serve the Hawaiian-style chicken fingers with sweet potato wedges and salad. Aoife and Flahavan’s have teamed up to show you how to incorporate oats, a budget-friendly and healthy super food, into your family’s diet. Don’t miss Aoife’s expert tips for feeding your family nutritiously and how a healthy breakfast for kids can really affect their mood! 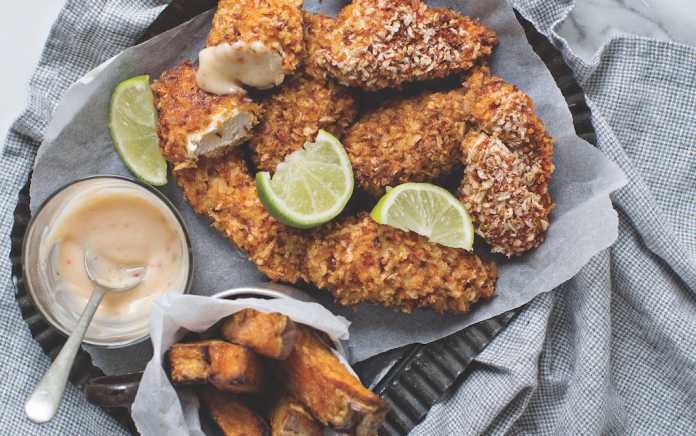 Credit: Hawaiian-Style Chicken Fingers and Sweet Potato Wedge recipe and image extracted from Aoife Hearne’s cookbook The Plan: Eat Well, Lose Weight, Transform Your Life, published by Gill Books. Next articleDid You Know a Super Food Breakfast for Kids Can Boost Their Mood?